Flightless fruit flies have been genetically altered so that they cannot fly, so you don't need to worry about escaped flies buzzing around your head or about your pet's inability to catch flying flies. They are completely flightless and harmless. Nutrition: fruit flies are very nutritious. Most animals eagerly chow down the fruit flies, so they must be very tasty and appealing. 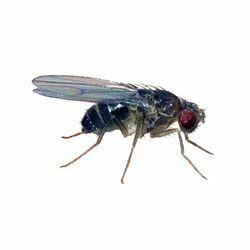 Fruit flies often draw a feeding response in finicky eaters or animals that are on a hunger strike. Maybe this is because they are so delicious and perhaps also because fruit flies move around vigorously, which draws the attention of herps and entices them to eat. Fruit flies are a cinch to care for. You don't need to feed them. They'll be fine in the container they are shipped in at 60-90°. And, the fruit flies do not need to be refrigerated. 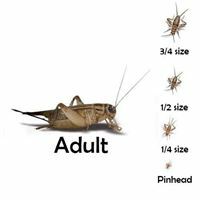 Fruit flies offered with other live feeders will give your pet the needed variety they require in their diet and therefore maximize your animal's good health. They can also be fed as a staple if dusted. Fruit flies don't make any racket like some annoying live feeders. 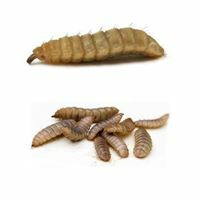 Genuine Calci Worms (aka Black Soldier Fly larvae) have a naturally balanced calcium:phosphorus ratio and are the only calcium-rich feeder that can be safely fed as a staple. 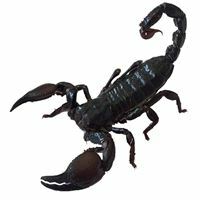 The emperor scorpion (Pandinus imperator) is one of the largest species of scorpion in the world, with adults averaging about 20 centimetres in length and a weight of 30 g.
One of the most popular species kept as pets in the hobby. Superworms make a great additional food source for larger sized lizards, geckos, turtles and frogs, as well as many fish and birds.